Many students have asked me if they can take some of the movements that they have learned from me and combine them with movements from other Qigong teachers. My simple answer is yes of course you can. Play around, have fun, do what feels good. My long answer goes like this. You have come to me to learn qigong. I think you came because you wanted to learn what I have to teach. Once you learn it, you need to practice it. You need to determine for yourself if this style that you have learned is effective for you. This is an important thing to do with any qigong that you learn. Is it doing what you want it to do? How do you know if it is working? 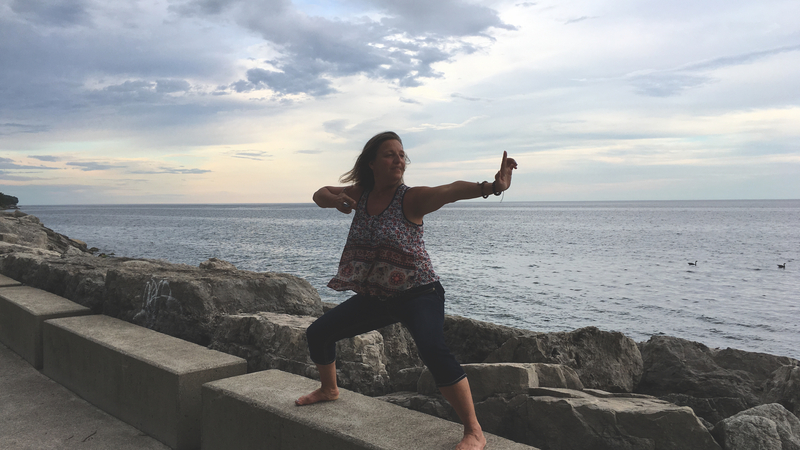 First, decide what it is you want to get from your qigong practice. Do you want to decrease pain? Improve blood pressure? Connect to a higher power? Increase creativity? What ever it is you want to accomplish, you need to write it down. Then, learn the movements and practice daily for 6 months. Keep a log, track your daily practice and make notes to see if you are getting more creative, or is your pain going away? Maybe you want to increase your flexibility, what ever it is you need to monitor it. Keep a daily journal where you record how much time you spend practicing, and how you feel on that day. After 6 months ask the hard questions and check your journal. Is it working? Have you improved? If so, keep doing what you are doing. If not, maybe this form is not for you or maybe you are not practicing enough. The magic number is 30 minutes a day every day! Check my resource page for a monthly tracker template. 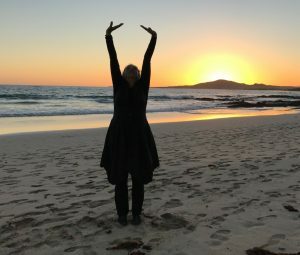 If you want to add a new form of qigong or a few movements, I would strongly suggest that you use the same technique as above to see if it works for you. Once you discover movements that work for you add them to your daily routines. You want to check to make sure you are getting what you want from it before adding the new movements to your daily routine. Another frequently asked question is: I learned that move and it looked a little different. Why is this? Well, there are many forms/styles of qigong. At one time they were all a secret. Most martial arts have a secret form of qigong that they use to bring energy to the hands. It is a secret because if everyone knew then nobody would have an advantage. The forms are different because they change over time depending on who is teaching and what the purpose of the instruction is. Sometimes, moves look the same but in fact they are different. My teacher has made some minor changes to the 18 Luohan Hands movements so that they are easy to learn. I like this, because when it is easy to learn, it is easy to teach! Also, students get it and they can focus on being present. Remember, I encourage you to butcher the form. This is because all bodies are different and what feels good for you will not be good for someone else. And in the beginning, you may not be able to do it perfectly. You will get better as you practice. Also, remember the form is only 10% of the practice (30% is breathing, and 60% is Zen). Yes, this is hard for our western minds to grasp but it is true. The most important part of any qigong practice is to enter Zen. To be quiet, relaxed and focused inward. 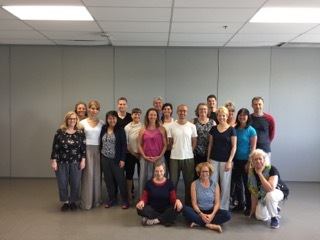 So, go ahead and study as much qigong from as many teachers as you can! That is what I plan to do. So far, I like the 18 Luohan Hands the best! I like them because they are easy to learn, very powerful, and you really don’t need anything else. With 18 movements you can come up with many different patterns and never be bored. Try a class and see for yourself. I am a health promotion specialist (BSc. Health Education) with 20 years of health promotion and fitness experience. 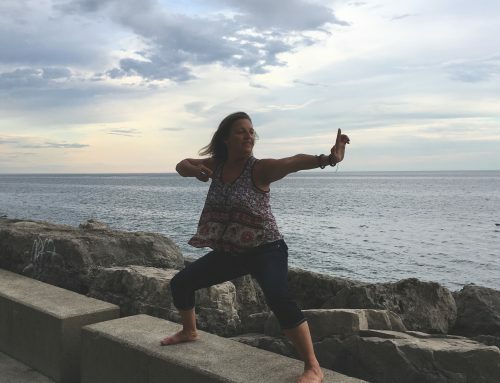 My love of movement and desire to stay healthy has led me to study and practice qigong. I am a Medical Qigong practitioner (MQP) and a qigong teacher. My intent is help people to live a long and healthy life. What is so special about Qigong?